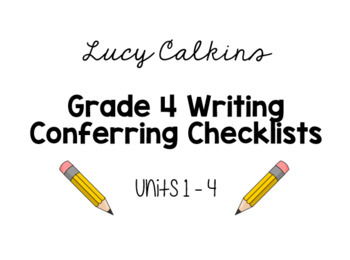 This bundle includes four conferring checklists that align with all four Lucy Calkins writing units! Each checklist was created using the Calkins grade four rubrics. 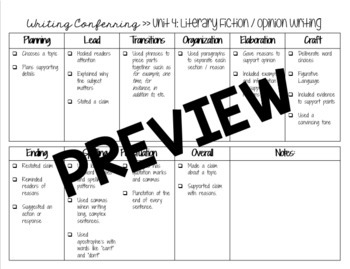 Therefore, it is completely aligned with the CCSS grade four writing standards. Print out one copy for each student to check off what they have done well as you move through the unit. Or use as you'd like!